I have a 2010 4-cylinder Audi A4 that’s running rough, what should I do? 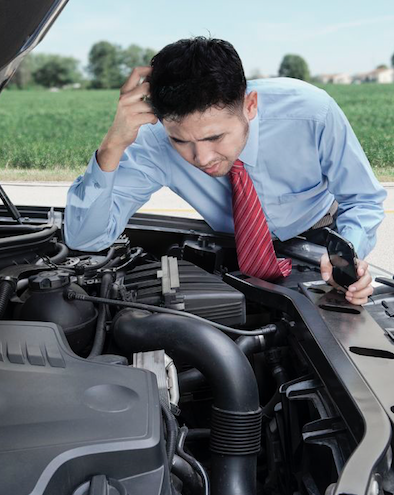 | Topline Automobile Inc.
Home Blog I have a 2010 4-cylinder Audi A4 that’s running rough, what should I do? I have a 2010 4-cylinder Audi A4 that’s running rough, what should I do? I have a 2010 4-cylinder Audi A4 with about 90,000 miles on it. My car is suddenly running rough. It’s leaking oil and also makes a tapping noise. What should I do? Should I drive it to the shop? If your Audi A4 is running rough and exhibiting the other symptoms you’ve mentioned, you should stop driving and tow the car to the shop. You may have a stretched timing chain, or a defective timing chain tensioner. To be safe and protect your car from possible further damage, you will want to tow the car to the shop to let a certified technician look at it. And keep in mind that you should always feel free to call us at (650) 558-8999 to talk over any issues you’re having with your car.